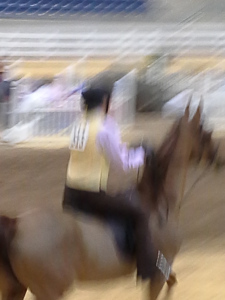 Ashado (Lola’s show name) & me, moving too fast to follow. Mautner Photography. Reposted from Been There, Done That: A Brave New World! The most important things were that you had a great time and you got back into a show ring! Well done.